Bookings request made in normal working hours are usually confirmed within a hour. One Way booking requests require agreement between the management of both branches. Most bookings requests will be confirmed within 24 hours but One Ways can take longer. One Way Hires are not available from this location. They may be available from other local branches.Please call our experienced reservations staff on 0800-023-53-97 for assistance and advice. Drivers under 25 years of age have to pay an additional charge for their insurance. They must have held their full driving Licence for 24 months and have no Convictions/Bans or Points.If this causes any problems call us on 0800-023 5397. In most of the locations drivers under the age 22 years of age not allowed to drive hired vehicle. Drop off / Return Location If you are unable to find a suitable return location for your one way journey please contact our experienced reservations staff on 0330 111 5397 who will help you. At Yellohire we can arrange to supply you with various different models from a SWB Transit van and a Luton 3.5t to a Vauxhall Zafira and a Volkswagen Golf. We can meet all of your travel needs whether for commercial or personal use. Our vehicles are ideal for trips to the airport and delivery or relocation projects. We also offer a one way service for when you're not planning a return trip. We aim to provide one of the most efficient and cost-effective van hire and car hire services in Britain, offering our customers a number of vehicles and hire options at more than 450 carefully selected locations across the UK. This large network of hire centres provides customers in all areas of the country with fast and convenient access to cars and vans. We arrange the supply vehicles in all categories, from small cars for a trip to the airport to heavy load vans for industrial use. 0330 111 5397 or fill in the form on this page for more information. Will your Van Hire include a trip to your local Tip/Rubbish dump? If you are planning to take any rubbish to your local tip or rubbish dump please check with you local Council to get an update of what size vehicle you can use for free disposal of rubbish. These rules vary across the country and remember many councils use CCTV to monitor their users so there may be no one at the Tip to advise you. If you take a vehicle that is outside their rules you may get charged and in some cases summonsed. For an example of the rules used by one local government tip see click here but remember it is smart to check with your local government offices. Times are tough for us all and to reward all of our faithful customers who have help us grow through the years, as well as our new customers, we have decided to absorb the VAT increase. Don’t get ripped off by the VAT increase, think van hire, think YelloHire. As you will probably be aware the current rate of VAT is due to increase from 17.5% to 20% on January 4th 2011. YelloHire will NOT be applying this new rate but will absorb the additional cost which means that renting a vehicle through YelloHire will be even more advantageous. Yellohire do not make any hidden or additional charges when you pay for your vehicle hire using a credit or debit card. When getting a quote or booking on-line, the hire cost you see is the price you pay! All our prices include VAT and insurance. Unlimited mileage ia available from a few selected locations otherwise the rental will have a reasonable daily mileage allowance with an additional mileage charge if this is exceeded. We will advise you of this in a quote and at the time of a booking. Please note that most locations will require a refundable deposit at the time of collection. Here at Yellohire, we aim to take the stress and hassle out of hiring a vehicle, which is why we tailor our services to meet the needs of each customer. In doing so, we have made available several types of leasing arrangement, including single-day and long-term hire contracts. We also offer a convenient one-way service, which enables the customer to hire a vehicle in one part of the UK and drive it to another without having to return the vehicle to its original point of collection. 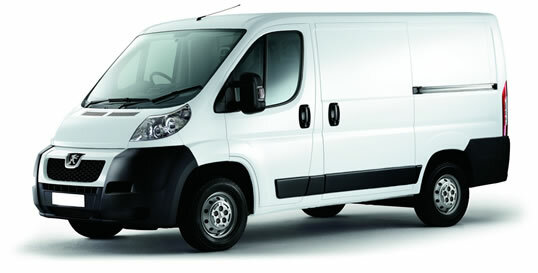 More Vans, More Cars, More Locations, More Competitive than any other hire Company in the UK! This is a COOKIE free site! We do not share any of your information with any other companies or internet providers. Your information is secure with us. What is a Cookie? A cookie, also known as an HTTP cookie, web cookie, or browser cookie, is usually a small file of data sent from a website and stored in the user's web browser while a user is browsing a website. When the user browses the same website in the future, the data stored in the cookie can be retrieved by the website to notify the website of all the user's previous activity. This can include clicking particular buttons, logging in or a record of which pages were visited by the user even months or years ago. Some examples where cookies are used include shopping carts, automatic login and remembering which advertisements have been shown in previous visits.